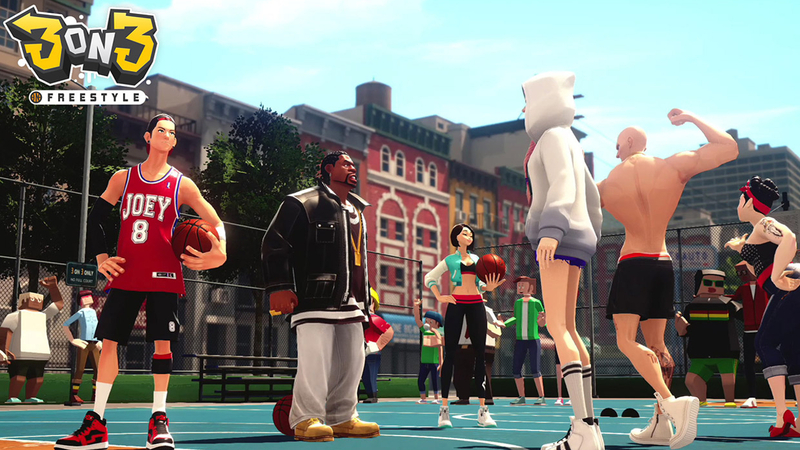 The free-to-play street basketball game 3on3 Freestyle entered its open beta period today. The game is out on PS4 and can be queued for download through its store product page. Any progress made during the beta will be carried through to its official release. Welcome to one of the most vibrant, diverse, exciting and competitive but unifying sports in the world – street basketball. Pick your player from a pool of custom-designed, one-of-a-kind characters based on real-life street basketball players, team up with your friends online or in-person, and hit the court to play authentic, fast-paced 3 on 3 street basketball real-time matches against live opponents in settings inspired by the world’s most-revered street basketball venues. Once the ball is tipped, you can take on opponents with the signature, jaw-dropping basketball tricks each character possesses, link up with your teammates for soaring alley-oops and no-look passes, and create your own style which turns you into a street basketball legend. 3on3 Freestyle has a natural reliance on microtransactions to generate revenue given its F2P nature. The in-game currency known as “FreeStyle Points” goes in single transactions from $5 all the way up to $50. The points are used to acquire of gear and attribute boosts. Features for the online-based game include character management and progression, online co-op in 3-vs-3 matches, local co-op for those online matches, and 1-vs-1 online or against CPU. A closed beta was held in late September for the PlayStation 4 exclusive. 3on3 Freestyle is a sequel to the PC game Freestyle 2: Street Basketball which released in early 2015.